One piece in Ralph Isenberg's collection: A JFK portrait by pop artist John Stango representing Kennedy's emphasis on the arts. Ralph Isenberg with Felix de Weldon sculpture of John F. Kennedy. JFK memorabilia. The letters JFK are from the Texas Theatre marquee, scene of Lee Harvey Oswald's capture. Today, we take a look at an Oak Cliff businessman who has created his own personal tribute to JFK. KERA’s BJ Austin sat down with Ralph Isenberg. Ralph Isenberg’s office is on the 12th floor of the Oak Cliff Tower at Zang and 12th. As principal owner of the building, he has a great view of downtown and an office stuffed with eclectic artwork, sculpture and curios. "Well, I guess," Isenberg said as he looked around. "You know, it's me." For decades, Isenberg has been collecting John F. Kennedy memorabilia, artifacts and artwork. He's sharing part of his large collection in an exhibit that he designed in the first floor lobby. "What we try to do in only 12 works of art is to tell the story of President Kennedy," Isenberg said. "So, I used an artist from New Orleans to go to one of Kennedy's biggest challenges, the civil rights crisis. These are original, signed Dalis of the Vietnam Suite." The four works by Salvador Dali represent Kennedy’s decision to send U.S. advisors to Vietnam. A piece by Alexander Calder addresses the world nuclear threat. And there's a bronze bust of the president by sculptor Felix de Weldon. A recreated 1960s-era living room has a TV that plays CBS anchorman Walter Cronkite’s coverage of the assassination and the presidential funeral. Across the lobby is a collection of Kennedy campaign buttons and a JFK doll in a rocking chair. Isenberg says he became fascinated with Kennedy as a 9-year-old boy in Saratoga Springs, N.Y. That’s where he got to shake the future president’s hand. "You know John F. Kennedy, President Kennedy, was my Superman," Isenberg said, with a look reminiscent of that 9 year old. Isenberg says he began collecting all things Kennedy three years later, after the president was killed. And he says he never dreamed he would settle in Dallas. "I must admit in all honesty, when I first moved to Dallas I hated this city," Isenberg said with intensity. "I would drive by the School Book Depository building and I had a saying: 'I hate that building.' I would always say that." But he says his attitude began to change after the opening of the Sixth Floor Museum and its thoughtful presentation of the assassination and the Kennedy legacy. Now, he hopes his one-man JFK exhibit does the same. 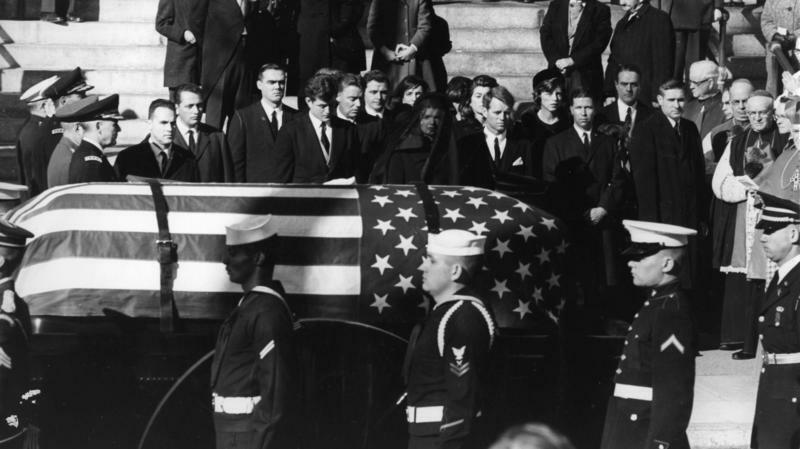 "The exact details of what happened when President Kennedy died have never gone away," Isenberg said. "I can bring it up as if it were yesterday, or an hour ago, with exactness." As the world acknowledges the 50th anniversary of the Kennedy assassination in Dallas, commentator Rawlins Gilliland shares his memory of a thrilling day that turned tragic. Fifty years after the assassination of President John F. Kennedy, the secret service agent assigned to Jacqueline Kennedy from 1960 to 1964 has written a book about the First Lady he knew. A rocking chair used by President John F. Kennedy in the White House is on display in New York City -- and it will be auctioned in Dallas in November. The chair is part of a collection of Kennedy memorabilia that Heritage Auctions will offer Nov. 23. The display, which also features items including two flags from the Oval Office, went up Thursday at the auction house's New York City location, where it will remain through Oct. 30. Five stories that have North Texas talking: John Connally's clothes will soon be displayed, some Oswald documents are released for the first time, restoring the grand Baker Hotel, and more.